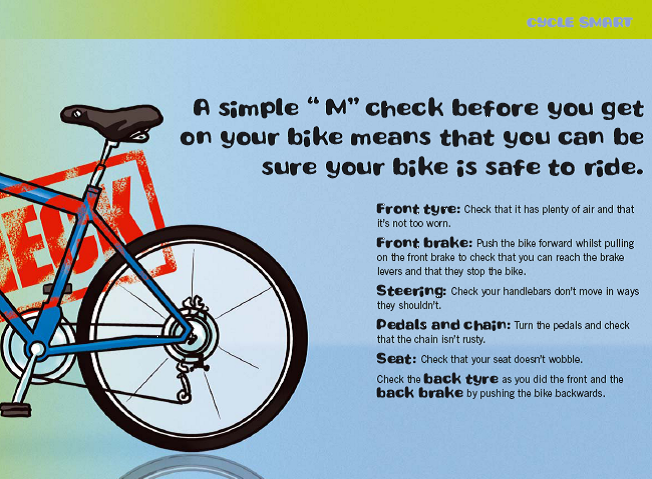 We want you to enjoy riding your bikes, and we want you to stay safe. There are a number of things you can do to help with this. 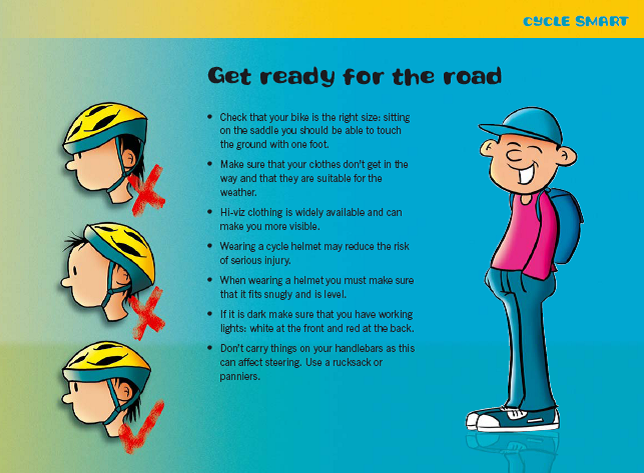 You should always wear a correctly fitting helmet and you should make a quick and easy check on your bike before you get on it! !